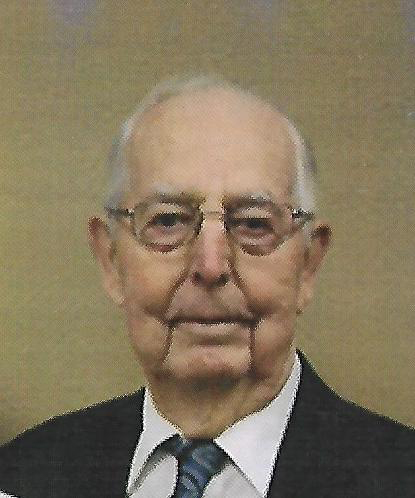 Donald H. Severidt, 94, died Wednesday, March 20, 2019, at his home in Calvin Community of Des Moines after a brief illness. Those who celebrate his life include his wife of 71 years, Eloise (Pfantz) Severidt; his sons: Dr. Larry (Linda) Severidt, of Des Moines, Dr. Dean Severidt, of Dallas, Texas and Dan (Elizabeth) Severidt, of Adel and Kindera Severidt, of Jacksonville, Florida. Don and Eloise have 8 grandchildren, 12 great grandchildren, many nieces, nephews and many extended family members and friends. Born in Marshall County Iowa on June 30, 1924, Donald was the son of William and Amanda (Damman) Severidt. His early years were spent on the farm, where he was the youngest of six children raised by his father and grandparents after the death of his mother. Donald served in the Sixth Armored Division of the Third Army in the European Theatre. In 1947, he married Eloise (Pfantz) and together they farmed land that had been managed by the Severidt family for many years. After leaving the farm, he worked as a sales manager and a carpenter. Donald was predeceased by his parents, siblings and their spouses, along with his granddaughter Mary and great-grandson Nathan. Don will be remembered as a kind and loving man who could (and did) strike up a conversation with anyone he met. The family thanks the care providers at Calvin Community who always treated Don with love and respect. We also would like to thank the many physicians at Broadlawns Medical Center who provided care through the years. Memorial services honoring his life will be held at 11:00 a.m. Tuesday, March 26th at Faith Lutheran Church in Adel, IA. Visitation will be one-hour prior at the church. Private family interment rites with full military honors will be in the Hillside Cemetery at State Center. The Mitchell Family Funeral Home in Marshalltown is caring for Don and his family. Ph. 641-844-1234.